Donate Online | Goodwill Industries of KYOWVA Area, Inc.
Make a financial gift to our local Goodwill by clicking the Donate button below. 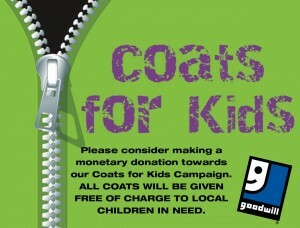 Make a financial gift to our Coats for Kids campaign by clicking the image below. Make a financial gift to our #GivingTuesday campaign, click below. Proceeds benefit Hire Attire. After you’ve donated, please take this quick survey.